Delhi's ruling Aam Aadmi Party (AAP) is fighting to stop the hike, which it says will hurt citizens badly as the Metro is the lifeline for millions. From tomorrow, the metro fare will go up for longer journeys from Rs 15 to Rs 20. New Delhi: The hike in Delhi Metro fares from tomorrow is a "conspiracy" to make cab services like Uber and Ola cheaper and more attractive to commuters in the capital, Deputy Chief Minster Manish Sisodia alleged today. "This is a conspiracy...so that Ola and Uber reap benefits and people think let us stop taking the Metro... you are working on behalf of the taxi companies," Mr Sisodia said as he raised strong objections in the assembly to Delhi Metro's decision to raise fares by up to Rs 10 from tomorrow - a 100 per cent increase in a span of six months. This is AAP's latest dart at aggregator-based taxi services that have queered the pitch for taxis and auto-rickshaws in Delhi. From tomorrow, citizens travelling on the Metro do not need to pay more than Rs 10 within a two-km journey, but for longer rides, the fare will go up from Rs 15 to Rs 20. The maximum fare will be Rs 60. AAP says the hike will hurt citizens badly as the Metro is the lifeline for millions. 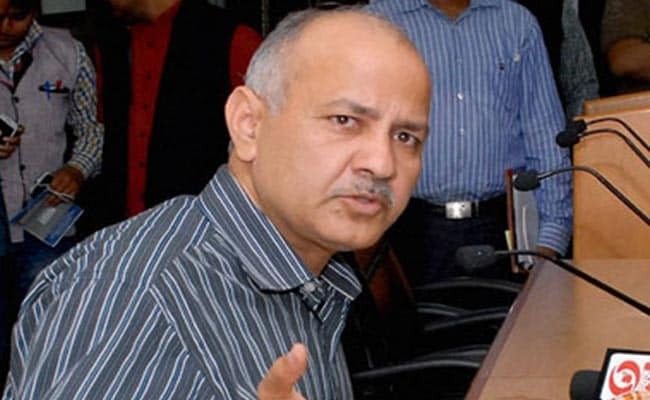 Manish Sisodia raised strong objections in the assembly to Delhi Metro's decision to raise fares. The Delhi Metro corporation has justified the decision saying its costs have shot up over the years and the proposed increase is at par with Metros in other cities. As a way of stopping the hike, Chief Minister Arvind Kejriwal offered to take over the Delhi Metro Rail Corporation and said his government was ready to provide half the funds needed to meet the gap in its finances for three months, if the hike was stalled. In a letter to Union Minister Hardeep Singh Puri, Mr Kejriwal said the Centre took on the losses of the Kolkata Metro so it should not have any problem doing the same for the Delhi Metro. Mr Puri, the Union Urban Development Minister, had on Friday told the Delhi government it would need to pay Rs 3,000 crore annually for five years if it wanted to stop the Metro fare hike. "If the Central government agrees, the Delhi government would be willing to take over the DMRC (Delhi Metro Rail Corporation)," Mr Kejriwal responded, asserting that the Cente and the Delhi government are "50-50 owners" of the Metro and should therefore share the cost.